When you think of the Civil War, you normally think of a bunch of guys in thick woolen suits with long musket-type guns and those flat top hats. Images of the confederate flag probably also come up. But we bet you don’t think of women fighting on the field alongside these men, right? It’s more likely you think of women wearing the frilly bonnets and big hoop skirts under their dresses looking after the children or the house. Well it turns out there is a whole group of women from the Civil War period that history has forgotten over the years. Thanks to one woman on a mission, J.R. Hardman, we are about to learn a whole lot more about some of the Civil War soldiers who fought some of the most important battles in America’s history. J.R Hardman is the woman behind a unique and important documentary called ‘Reenactress’ which she has been raising money for via a Kickstarter campaign. 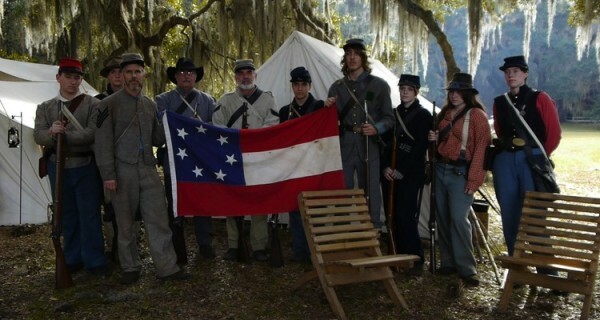 The idea came about a few years ago when she started getting involved in the Civil War reenactment world, which is a big deal and people who participate take this pasttime very seriously. J.R told NPR in an interview that she has had a keen interest in the Civil War since she was a little girl. In 2012 after attending a battle reenactment in Gettysburg, PA, she decided to find out how to become part of this world. But when she asked to join a military reenactment group, she was flatly refused by the unit commander because she was a woman. She was instead directed to the area where women dress up in hoop skirts, frilly bonnets and the rest of the stereotypical imagery associated with the majority of women from this period. Eventually she found an infantry unit that was open-minded enough to allow her to be a soldier, and she has loved every minute of learning how to shoot a canon, doing an infantry impression, marching and carrying artillery. After thoroughly enjoying her reenactment experiences, she decided to put her University of Southern California film making background to use and delve even further into the world of women who fought in the Civil War alongside men. She learned through her research that there were many women who became cross-dressers in order to even be allowed onto the battle field to fight. It was the only way it would happen. Now J.R and her team of filmmakers are seeking to bring the largely unheard of story of these brave women to the mainstream with the documentary ‘Reenactress’. “The memory of the 400-1000 women who fought disguised as men during the Civil War is preserved in the modern day by female reenactors. 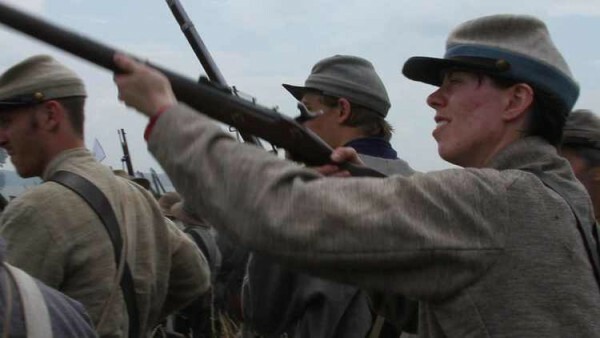 ‘Reenactress’ is a feature-length documentary about women who cross-dress to portray soldiers on the battlefield at Civil War reenactments in the modern day,” reads the Kickstarter description. In an interview with Slate who published a huge feature on the world of cross-dressing women during the Civil War and the modern day women who fought legal battles to preserve their memory, J.R says she has experienced criticism and sexism on the “field” but doesn’t let it deter her. Instead, her passion for her hobby is going to send a much more important message to girls and women with this documentary. “A hobby is about finding people who are like you, and there are people who are like you in every aspect of re-enacting. If you’re Suzie Homemaker, or if you’re super feminist, or if you’re Suzie-Homemaker-Super-Feminist, there will be somebody like you. You just sometimes have to look a little bit harder,” she said. There is a delicate balance between accurately portraying history and differentiating between that and the reenactment world, both topics that the docu will explore simultaneously. J.R says much of the push-back she and other women get in the reenactment world is that technically women weren’t allowed to fight on the field 150 years ago so there’s no room for them on the field today. “It’s easy for people to discriminate and give you this idea that you’re not supposed to be mad at them. And when you really think about it, it’s kind of crap. They’re still saying something that’s prejudiced or discriminatory, and it’s easier for them to do that because it’s harder for you to argue because it’s ‘inauthentic.’ But re-enacting isn’t actually the Civil War,” she reminds her critics and those who continue to bar women from donning the soldier’s suit. Part of the reason J.R and other women around the country are able to participate in commemorative reenactments today is because of the work of scholars DeAnne Blanton and Lauren Cook Wike who co-authored a book called ‘They Fought Like Demons: Women Soldiers in the Civil War’. Lauren ended up writing this book because she too was shut out from taking part in a Civil War reenactment and in 1989, instead of looking for another infantry who would allow her in, she took her case to court, citing historical research and evidence that the National Park Service which disallowed her from participating were doing so illegally. Needless to say, she won! While it may not has been a huge news story, what this court case essentially did was correct the forgotten parts of history for women in America, and opened the doors to women like J.R. to continue the legacy. Now the forthcoming documentary ‘Reenactress’ will seek to ignite a whole new generation of women and girls who, like J.R., grow up being fascinated by America’s history and want to partake in something that is rightfully theirs. 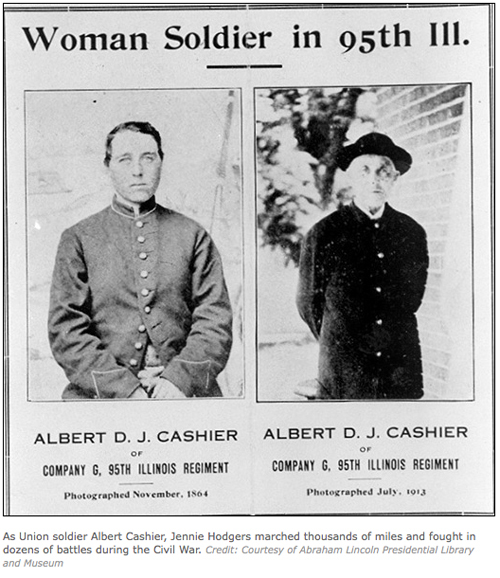 There are many women whose stories from the Civil War battle field deserve to be told such as Jennie Hodgers, a woman from Illinois who enlisted at 21, fought more than 40 engagements, lived the rest of her life as a man, and died in 1915 without anyone ever knowing she was really a woman. Sarah Rosetta Wakeman was a native New Yorker who disguised herself as a man and enlisted in the Union Army. She changed her name to Lyons Wakeman, fought multiple battles, and died without anyone ever discovering her true gender identity. To read more biographies on the women who dressed and lived as men during the Civil War, you can explore the fascinating stories on the Civil War Trust educational website. 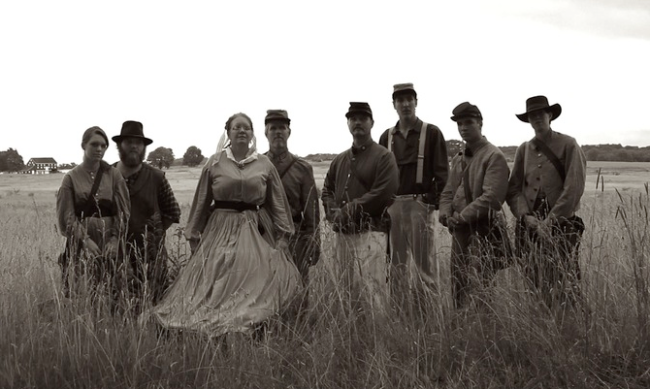 And if you are a woman who has always been interested in taking part in a Civil War reenactment, we encourage you to follow J.R. Hardman’s journey with the documentary ‘Reenactress’. “There are so many … really inspiring and tragic stories. Doing this project has given me a wonderful opportunity to research many of them. I love talking about the female soldiers, and a big part of this project is also trying to preserve their history and inform more people about it,” J.R. told NPR.